This welcome addition to the growing body of studies on the development of modern media in China is based on the author’s 1998 doctoral dissertation (University of California, Berkeley). With 391 pages, including a rich bibliography of Western and Chinese (but no Japanese) sources and scholarship, it is a substantial volume. It comes in the wake of a number of empirical studies on the development of commercial printing in Ming and Qing China (Brooks, Widmer, Brokaw/Chow, and others); on the early Shanghai newspapers (Narramore, Ye Xiaoqing, Judge, N. Vittinghoff, A. Janku, B. Mittler, and others); and on the development and organization of Shanghai industries (Bergère, Elvin, Henriot, Drège, Cochran, Kirby, and others). Its focus is on the acculturation of Western print technology in China. Chapter 1, “Gutenberg’s Descendants: Transferring Industrialized Printing Technology to China, 1807-1930,” is largely based on PRC source collections, PRC secondary scholarship, and overviews of early-nineteenth-century Protestant missionary press activities such as McIntosh’s The Mission Press in China (1895). It argues that due to the inability of the Western-controlled presses in China to develop Chinese letter-press fonts aesthetically acceptable to Chinese readers, the early print products coming from these presses were not successful. As a consequence, the Chinese did not adopt modern print technologies. Only the reproduction of Chinese fine calligraphy made possible by lithography, which spread from the late 1870s onward, secured acceptance of modern printing technology in China. And only when acceptable metal fonts had been developed around 1900, letter-press books gained ascendancy in the market. This is a strong argument that provides cultural logic to a historical development. It is innovative by extending the familiar sinological trope of the “sinification” or acculturation of concepts, institutions, and practices to print technology with the (albeit dramatically essentialized) claim that “the Chinese made conscious decisions” about the kind of print technology that they felt was culturally acceptable to them (p. 29). The argument further satisfies by being made in a manner that makes it falsifiable. 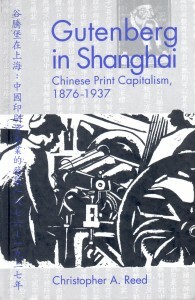 The argument hinges on two points: that letter-press book publishing only surged after 1900 with the Commercial Press and others entering the market; and that it can be shown that the aesthetics of font design prevented earlier letter-press books from striking a chord with Chinese readers. On both points, the evidence looks less strong than the logic. As for aesthetics, the author quotes the self-serving advertisements of later printers (such as the Commercial Press) about the unmatched beauty of their own fonts. There is no evidence from readers and users, and he fails to notice that exactly the same claims have been made with the same justification by the Shenbaoguan since 1873 for the font of their books. (“Our company’s newly printed Rulin waishi edition, in eight thread-bound volumes, with its fine craftsmanship in collating and editing and the precision and clarity of its layout and printing is a true marvel!” a Shenbao advertisement gushes in no. 725, 27th of the 9th month, 1874, p. 1.) As to the counter-evidence, a look at any edition of the Peking Gazette (Jingbao), the daily print fare accepted by Chinese officialdom as the conveyor of crucial Court information, will make one wonder about the demanding aesthetic sensibility of educated Chinese readers. The Peking Gazette (substantial holdings can be found in the Columbia University library and the British Library, some specimens in the UC Berkeley library) is printed by different privatebaofang from quickly and crudely cut woodblocks or inscribed wax matrixes on the roughest of papers with wobbly lines and a complete absence of layout. That the Gazette was able to survive in this form into the twentieth century without change although newspapers such as the Shenbao reprinted it daily with fine metal fonts in its entirety and delivered it much faster, shows that even the availability of a much better font and much quicker delivery did not drive these satires on Chinese calligraphy out of business. The assertion that the success of the letter-press book only came late with new fonts made by truly Chinese publishers leaves aside the big success story of modern letter-press book printing by the Shenbaoguan in Shanghai since 1873. This publishing house, which also published the mother of the modern Chinese newspapers, the Shenbao, came out with hundreds of highly successful volumes of very fine letter-press books done with metal fonts and modeled on the best which earlier Chinese printing could offer in quality, the Wuyingdian palace de luxe editions. Many of the first (critically edited) works to be published after the Taiping civil war came out of this press, together with ample amounts of classical works and examination tools such as the Jingji zuangu. To this day they are coveted by collectors, praised in the entries of major bibliographic dictionaries such as the Zhongguo wenxue dacidian (Encyclopedia of Chinese literature; Tianjin, 1991), and named after the manager and share-holder of this press, Ernest Major, as meicha ban (Major prints). The author confines his remarks on this press—one will not even find it in the index—to two sadly uninformed footnotes. As his own alma mater holds what is probably the finest set of these books in the US, under the misleading title “Shenbaoguan congshu,” a quick glance at one of these books (instead of a shoddy secondary source) would have convinced him that none of them is printed with “wooden types” (p. 318, n. 257), and that it is not a “reprint collection of fiction” either. Further reading would have shown that there is no basis for the assertion that the volumes were printed in a “maximum 2000 copies,” and that this press was actually instrumental in convincing other publishers to use metal fonts together with machines instead of only buying the fonts and doing the printing by hand. A good argument can be made that the basic strategy to publish the Chinese heritage in fine modern letter-press editions as well as the basic format and layout of such books was developed by the Shenbaoguan and then further spread by other publishers jumping into the profitable market it discovered. Due to its national distribution network, this press also managed to gain influence far beyond the Shanghai International Settlement. The strong reliance on PRC selections and narratives comes with a price. In this master narrative, a fine distinction is made between Chinese books and Chinese books. While both might be written in Chinese by Chinese authors, printed by Chinese printers, and read by Chinese readers, the key difference lies in the bloodline of the owner. As Ernest Major, a British subject, was manager and shareholder of the Shenbaoguan, the big success story of early modern letter-press books disappears from this record. The result is a chronology in which the truly Chinese modern press (including newspapers) only starts at the end of the century, and all else is cultural imperialism rejected by “the Chinese.” The author does not go back to the missionary archives with their rich record of transactions such as buying and selling machinery and fonts, as done by Natascha Vittinghoff for the London Missionary Society in her Die Anfaenge des Journalismus in China 1860-1911 (The beginnings of journalism in China; Wiesbaden: Harassowitz 2002, pp. 157 ff. ), a book that came out after the author had finished his manuscript. He does not go through the daily record of advertisements and editorial matter on printing and publishing in the Shenbao, but trusts PRC depictions that move within a preset and quite political master narrative and therefore combine over-documentation of sources supporting this master narrative with under-documentation of sources undermining it. There is, however, no question that since the late 1870s lithography also spread rapidly. This is the topic of Chapter 2. After a good sketch of the early use of this technology in China, it describes three major lithographic presses for which historical materials have been found, the Dianshizhai, a subsidiary of the Shenbaoguan set up in 1878, the Tongwen guan, set up by the Xu brothers from Canton in 1882, and the Feiyingge (1887). 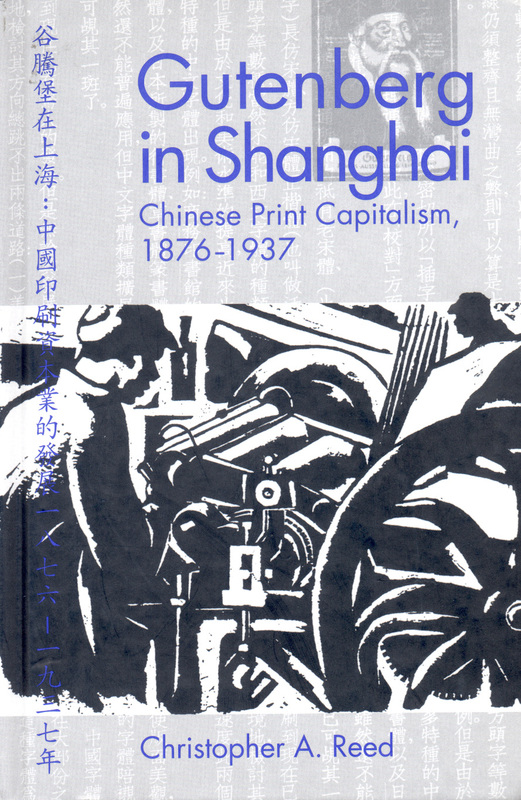 It strongly relies on summary descriptions of the Shanghai lithograph press in the North China Herald, on the autobiography of Xu Run from the Tongwen Press, and some later historical narratives. The chapter would have benefited from an analysis of the actual range of print products put out by the Dianshizhai and the others so as to highlight the potential and the actual uses of this technology in China. For this, an analysis of the rich advertisement record would have been useful, which requires checking in the originals of the Dianshizhai huabao since advertisements have not been reproduced in the generally available reprints . The Dianshizhai mostly used lithography not for book reproduction, but for image reproduction, and did so for book reproduction when there were images or non-standard characters such as the bronze inscription characters on top of every page in the Kangxi cidian. The Tongwen guan and others went for this technology primarily because it saved the cumbersome typesetting process. This, however, came with a price. The Shenbaoguan letter-press books were famed for their editorial care, quite apart from the fact that Shenbaoguan published a good number of original works for which no printed edition was available, such as Shen Fu’s Six Chapters from a Floating Life. For carefully collated editions, lithography was not a good technology, and the Dianshizhai never published many books. (Its book-publishing did not start out with the orthodox Illustrated Sacred Edict, Shengyu xiangjie, as claimed in the secondary source quoted on p. 110, but with the dictionaryZihui in June 1879, to be followed by a Chinese-English dictionary and nothing less than Ji Yun’s Siku quanshu jianming mulu. The Shengyu xiangjie only came out in September). The Tongwen, Feiyingge and other lithography printers in the 1880s and 1890s went for reprints, but had no editors or correctors. They were the forerunners of the later photo-offset reproductions. The jury is still out on the question which of the two, the letter-press books or the lithography reproduction books, had the bigger impact and larger market during the 1880s and 1890. Chapter 3, “Sooty Sons of Vulcan,” tracks the development of Shanghai printing manufacturing from repair shops to full-scale copies of Western and Japanese machines, with even an occasional export success to Japan and Southeast Asia. It again shows a great familiarity with the international context and the major enterprises dominating the world market for printing machinery. For sources, the author relies strongly on the excerpts collected in the Shanghai minzu ji qi gongye (The Shanghai people and its industry; 1979) and Ip Man-ying’s The Life and Times of Zhang Yuanji 1867-1959 (Beijing: Commercial Press, 1985) with an occasional reference to the North China Herald. TheShanghai minzu ji qi gongye offers an important new source, interviews with people who had worked in Shanghai print shops during the 1920s and 1930s. The author duly notes that these interviews from the 1950s PRC have to be read in the context of strongly ideologized construction of Shanghai history during the Republican period. The thrill of the discovery of these “authentic” voices, however, has not translated into a sophisticated methodology of making use of them without forgetting the context of their genesis. The question might be whether these workshops and small factories actually qualify as “industry” and the “sooty sons of Vulcan” as “workers.” The former apprentices in the workshops repairing and producing printing equipment interviewed here clearly expected to open their own shops and become entrepreneurs themselves. Their mindset was rather that of a skilled craftsman than that of a worker, and they would rather join a guild with other entrepreneurs than a union with other workers. The noted absence of major worker action would then be less surprising. Analytically, the chapter challenges the observation by Bergère, already found in Communist historiography in the early 1930s, that the end of World War I also meant the end of the short blossoming of the Chinese bourgeoisie. Print equipment manufacturers survived and even had some successes. But whereas much light is thrown on the success stories, the author has to admit that the foreign firms came back with a vengeance and quickly reoccupied the entire upper end of the market; the major Chinese publishing houses were all operating with foreign machines. Here, the heavy reliance on PRC writings again comes with a price. We are told that China was a “semi-colonial” place, Chinese copies of Western printing equipment are in a way morally superior to the foreign machines, and the Xu brothers are credited with managing the transition to “industrial” commercially-driven publishing while they clearly were taking after the model of the “foreign” Shenbaoguan. Ironically, recent PRC historiography of the treaty ports has revisited the earlier master narrative in the light of the push to convince foreign corporations to invest. In this magical manner, what once was the exploitation of a semi-colonial China is transformed into key ingredients of China’s modernization drive. Chapter 4 probes the management forms developed in the Shanghai print industry as well as the collective bodies developed by this industry to articulate its common interests. For the printers’ guild, archival materials in the Shanghai Municipal Archives have been used. Some of the larger printing enterprises in Shanghai used the form of a joint stock enterprise to raise capital. This opens the door for a challenge to William Kirby’s observation that the form of the joint stock enterprise was rarely used in China although the legal provisions for it were already in place since the late Qing (“Kirby dilemma”). The actual number of such enterprises remains too small to dramatically change the overall picture. In the historical narrative, the author stresses the innovative features of this organization and disregards that—again—the Shenbaoguan was set up as a joint stock company in 1872 and evidently provided the model. The establishment of the Printers’ Guild, with its eventually strong nationalist tendency to exclude foreign printers and publishers, is mapped out with great clarity. Most interesting are the author’s observations on the social mix of this guild where a Hanlin scholar would sit next to a successful book merchant with little traditional education and a man running a workshop repairing printing equipment. On the other hand, the guild’s concern with protecting its copyrights did not translate into efforts to protect the patents of foreigners. Chapter 5 finally sketches the three big publishing firms of the Republican period, the Commercial Press, Zhonghua, and World Books. They were at the center of a book market in which Shanghai ended up providing over eighty percent of all books published in China on the eve of the Japanese advance. Much has been written, especially on the Commercial Press. The author makes good use of these studies, including those written in French by Drège, but passes by Japanese studies altogether. Two arguments of substantial interest are made: these publishers marked a move from cultural and gentlemanly concerns in publishing to vigorously economic ones; and, due to the lucrative schoolbook market, a close and cosy relationship developed between them and government. Elisabeth Eisenstein’s observation about the cultural clout and sophistication of the most successful European publishers makes it doubtful whether this cultural/commercial divide is very useful. Little evidence is given to support the claim that the Tongwen guan of the Xu brothers marked the transition to purely commercial publishing; both the cultural and the economic success of the Shenbaoguan in the decade before the Tongwen guan started operations seem to argue against this. The second point is directly convincing as a hypothesis. A detailed source-based study on this “cosy” relationship between the big publishers and the government including the cooperation of the latter in censorship matters would have been of high interest, and would have invited comparative studies with today’s PRC publishers. A third point, that these publishers were the first ever in China to have editorial departments, neglects the fact that the Shenbaoguan had professional editors in charge of editing its journals, collating its books, and soliciting and selecting model examination essays. Vittinghoff and Mittler even go so far as to claim that theShenbao newspaper had an “editorial board,” whereas I tend to think Major retained ultimate editorial authority and responsibility while giving much leeway to his Chinese staff. The focus of the study on books rather than printed matter (including journals and newspapers) leads to an artificial segmentation of what on the ground is a tight connection. The strength of the study is its focus on the instruments of print as well as the organization of the enterprises rather than on the print products, and its insertion of the business and technical information into a world context. It is daring in merging information from a good range of sources, including novels (e.g., Guanchang xianxing ji), archival materials, and memoirs with interview records, source selections, and historical narratives from the PRC. While it substantially enriches our knowledge in the understudied area of the technologies and organizational forms used in the late Qing and Republican period print industry, its main argumentative points are less convincing. They are made within a master narrative that has not been subjected to a hard check against the actual evidence.
. For a first effort in this direction see my “Jinru quanqiu xiangxiang tujing: Shanghai de Dianshizhai huabao” (Joining the global imaginaire: The Shanghai Illustrated Newspaper Dianshizhai huabao). Zhongguo xueshu 8 (2001): 1-96.